Come meet Margaret Fuller, Elizabeth Peabody, Georgiana Bruce Kirby, Amelia Russell (“Mistress of the Revels”) and other remarkable women who were members of or frequent visitors to Brook Farm. 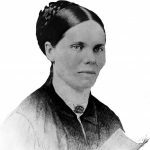 New Brook Farm and the Boston Women’s Heritage Trail have created this reenactment based on the writings of these women to raise awareness of the important roles women played in the Brook Farm experiment. The community room in the newly refurbished Jamaica Plain Library is an ideal setting for this updated presentation. A reception will follow the presentation. Since 1989, the Boston Women’s Heritage Trail (BWHT) has worked to restore women to their rightful place in the history of Boston and in the school curriculum by uncovering, chronicling, and disseminating information about the women who have made lasting contributions to the City of Boston. Donate to help bring historic women to life!